Hotels right on the beach in Phuket are the most demanded accommodation, but the price for this luxury varies significantly. If you are looking to save some pennies, cheap beach hotels are a lot more common than you might imagine, and can be very impressive places to stay. In fact, it is possible to enjoy a good degree of luxury for under US$150 per night, depending on when you book. 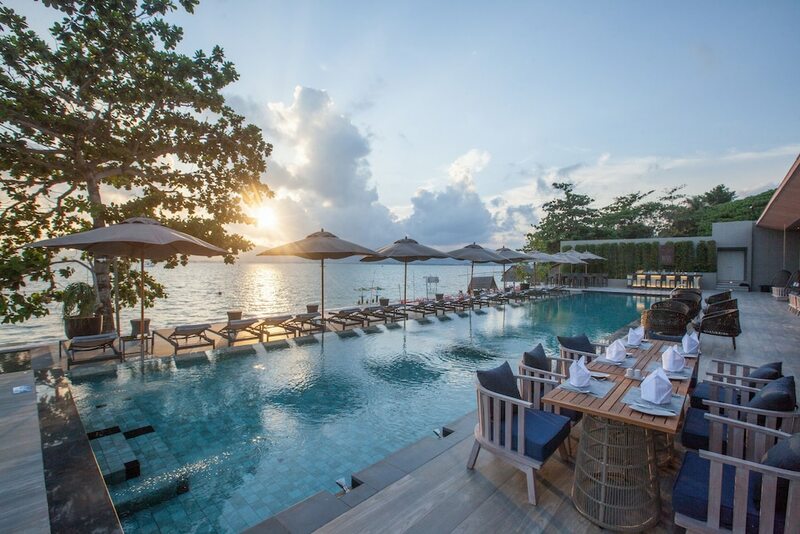 Most of the places on our list of Phuket cheap beach hotels have fantastic facilities, first-class restaurants, beautiful surroundings and comfortable rooms. What they all have is absolutely nothing between the hotel grounds and the stunning beaches which surround Phuket Island. Imagine walking from the breakfast buffet straight out onto the warm sand to start another day – bliss! As you’re sure to be asking, why are they so cheap? There’s got to be a catch! Well, no – not really. Some of the hotels are in fairly remote locations, away from the attractions of the towns and cities while others are getting old and lack the modern in-room gadgetry and gimmicks of the brand new resorts. However, all are still great places to enjoy a memorable holiday. NOTE: Hotel prices fluctuate according to the time of year and how far in advance you book. At the time of writing, all of the listed hotels were priced below $150 per night and such prices are available if you book at the right time.